No one really knows what aliens look like, but we all have similar ideas about them. It’s often a creature with a big head, long arms and legs, and big, buggy eyes. 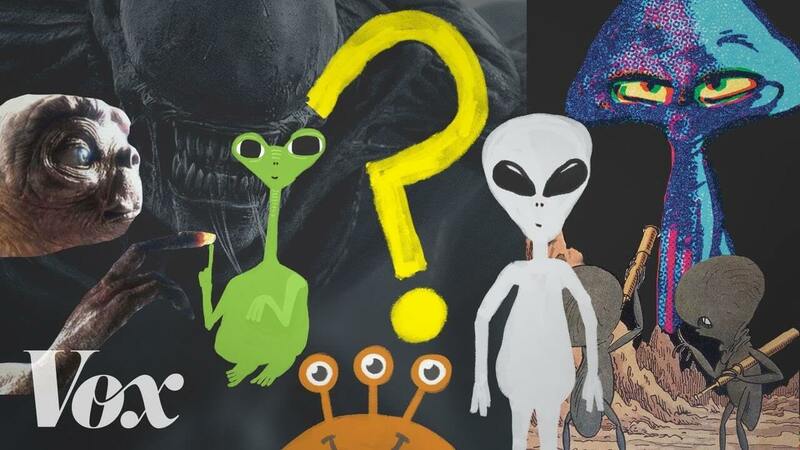 We see these common images of aliens depicted in movies, books, and on TV shows — which are made by us. Science fiction stories often explore the relationship between humans and aliens. So we find extraterrestrial creatures endowed with relatable human features. According to Charley Henley, a VFX supervisor who worked on Ridley Scott’s Alien series, “A lot of [Scott’s] designs are tied in with the human anatomy, and I think that is the common theme. We put a lot of humans into the aliens.” In our stories, we naturally anthropomorphize these creatures — so they end up looking, acting, and feeling just like us. It’s science fiction. I mean, as of now, hopefully, someday we will detect life on another world — maybe many examples of life on many worlds — and then we can have more accurate science fiction. But I think as of now, a guess of a science fiction novelist is as good as a scientist. Science fiction is one expression of our profound sense of awe and wonder about whether we are alone in the universe. Watch the video above to see how we humans perceive aliens and how that shapes our imagination of life beyond our planet. You can watch all of Vox’s videos on our YouTube channel. Subscribe for the latest.